Romahomes seem to have been around since the year dot – not so much the dinosaurs of the motorhome world, more the mice, i.e. the real survivors. That’s a billing that certainly suits their diminutive sizes. From today’s line-up, it’s the R20 that’s arguably the definitive Romahome. 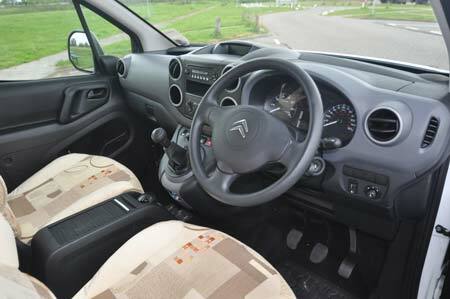 Based on Citroen’s almost equally venerably Berlingo, the R20 is available in two formats – Hi and Lo. This is the latter, with a front-hinged elevating roof section that is easily raised to offer valuable extra headroom in the lounge and standing height in the galley kitchen at the rear of the vehicle. 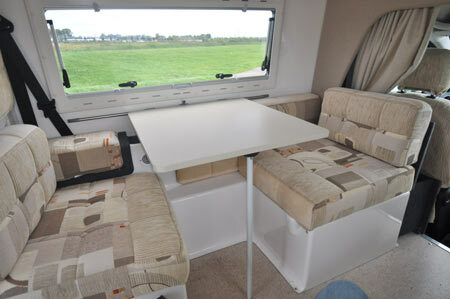 Keeping things simple has long been the Romahome philosophy, hence the straightforward floorplan that’s designed to cope with two on tour – although I do suspect that most owners are rather like the vehicles themselves – compact, and clutter-free! They’re certainly intrepid, notching up all kinds of adventures that often go way beyond the norm. Helping that is the fact that this Romahome is very pleasant drive. The engine delivers 90bhp, which translates into plenty of easy cruising at 70mph (more, where permitted) – at the same time returning the kind if fuel frugality for which all Romahomes are renowned. Look at that miles-per-gallon figure in the table below. That’s no misprint, just an estimate, and a conservative one, at that. There’s no shortage of owners who can claim getting into the 60s! Romahome-spotters will also note the wider body of this latest version, which in turn allows a broader rear door and, of course, just that little bit more essential living space throughout. The interior here features the facility to turn the rear settees into forward-facing seats for travel. 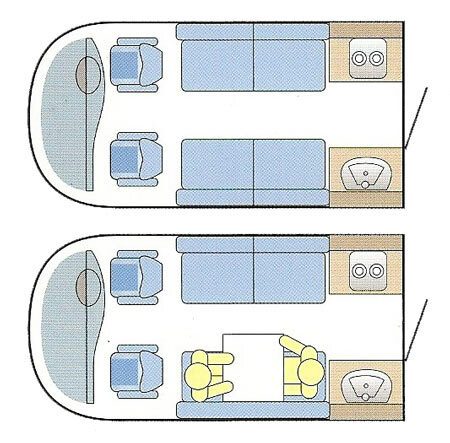 The latter is not the ideal scenario – you can’t open any of the rear windows for travel, for example, but it’s a useful two extra travel berths for occasional use. Another option here is an L-shaped settee layout – true it cuts off the cab, but only the most agile are going to clamber from the front two seats through to the living quarters. In reality, it’s the attraction of two settees that can also be adapted slightly for single beds that is the key formula, although the single dinette here is quite a boon if you end up eating your meals indoors. True, there are plenty of additional cushions and fittings to allow you to make up a double bed, but it really is a test of your organisational ability. Making it is easy enough, but sticking with the two singles allows some of the cushions to be left at home. Likewise, you need to be pretty organised when it comes to where you stow things – again it’s the twin-settee layout that helps most in this respect, optimising the underseat capacities. 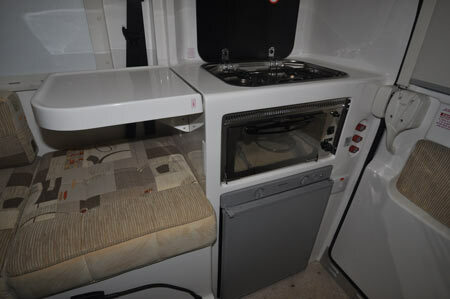 At the back, the kitchen splits between a two-ring hob and separate grill over a 60-litre, three-way fridge (offside) and, here, the toilet compartment option that allows for the stowing of a portable toilet at floor level, under a fixed sink and cutlery drawer. Recent changes to specification see hinged glass lids to the sink and hob, while the fold-down worktop extensions are retained. The Romahome operation (they’re still produced, as they always were, on the Isle of Wight) means additional features such as extra electrical sockets, grab handles, TV aerial points etc can be added at the time of manufacture. There’s also a pretty extensive list of base vehicle options – with the rider here being it may delay delivery of the vehicle at the time of order. These could be interesting times for Romahome. 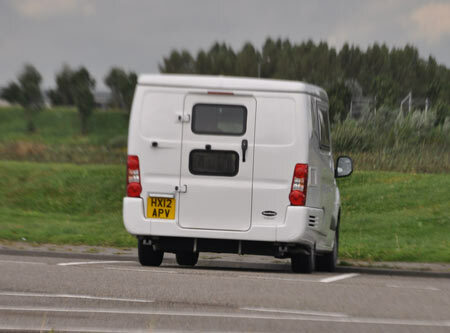 There’s definitely evidence that folk are “downsizing” with their motorhomes, opting to exchange their current vehicles for something just a bit smaller and more economical. Romahome has always had its own little niche, but I can’t help feeling the more austere times suit it all the more. With Citroen announcing an electric version of its Berlingo, who knows where we could be heading in the future. Or how. A small wonder, for sure, with car-like qualities and just about enough space for equally compact couples. Plus: Top quality GRP body and furniture. Compact dimensions. Easy to drive and use. Proven living quarters. Minus: A few too many rattles. Summed up in one word: Characterful. 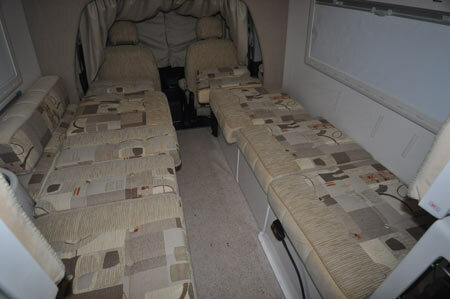 *Insurance premium for this motorhome based on Romahome R20 Lo. Fitted with Manufacturer’s Immobiliser system. Kept on driveway at home at TD9 8ED. Insured & spouse, 50 years old, professionals, with no claims, convictions or health conditions in last 5 years. 5 years transferred NCD, 5 years motorhome driving experience. Members of motorhome club doing less than 5000 miles annually. 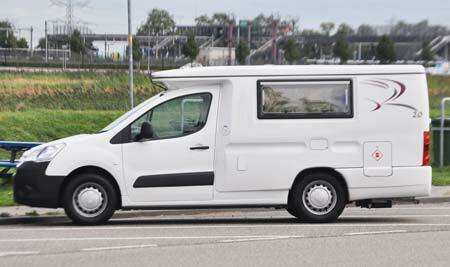 European insurance cover for motorhome costs extra – please call for quote. European Breakdown is £43 extra. Premium includes Insurance Premium Tax (IPT) at 6% and is correct as of 17.09.12. How do I get a certificate of Conformity (needed for registration and insurance in France) for my older (10-15 year) model Romahome Outlook? My dog and I got ours at the end of July. Absolutely brilliant. Have solved the storage problem by using cheap fabric boxes. 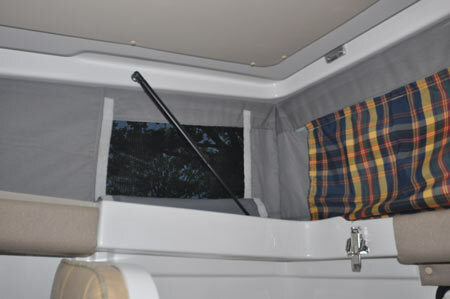 They are easy to use and fit into the spaces under the seats. there is also a fair bit of storage behind the driver and passenger seat. most of my portable stuff ~ chair, table etc fits there. There is also a box behind the end of each sofa on the cab end. I am the proud owner of a HiLo romahome. I have toured around the north west of Scotland, terrible roads hills and steep braes and was very happy to get around 45-48 to the gallon. I went to the Kyle peninsula and then on to Bute last week-end. No hitches, though my partner and I will need to be a bit more organised ref storage area & what is needed before we made up the bed! but great fun.The dog also loves his holidays, staying in the cab overnight and in the back during the day. I would fully recommed them. recently widowed I looked at one of these on site in Grassington. At the moment I have a 4berth 2006 Amazon Compass with 16,000 miles in immaculate condition if any one knows of someone who wants a part exchange I am interested in downsizing !!!! Need something smaller for just me and the dog.